Blizzard entertaining today announced one of his golden gooses was laid off today. The meme laid off was John Snates who was the senior level designer for almost every WOW raid dungeon, and was a major contributor to Titan. While its understandable that people are let go all the time the laying off of this staff member is a mystery. He was still working on a major title and not just let go at the end of the project. He was responsible for some major thing sin wow. 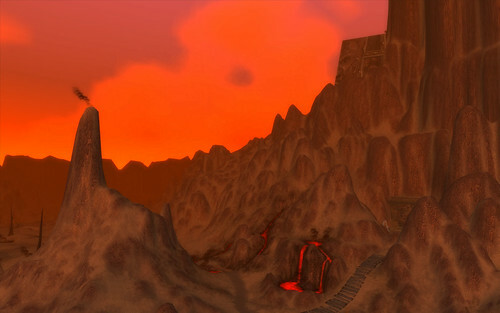 From the raid dungeons talked about earlier, booty bay, and blackrock mountain. Plus other instanced dungeons in the game. So why would blizzard let him go? Is this backlash for Mists of Pandaria's ill received announcement? Or was there something else major going on at Blizzard? Either way this man will be picked up quickly by another studio based on his amazing past performance with WOW. Strangely enough, Runes of Magic announced that they had picked up a new "shadowy figure" to help increase the effectiveness and design of their dungeons. That would be a good connection but im leaning more towards he was pissed about something they did and already wanted to go on his own. So he pushed them to firing him so he can get a nice severance package and be on his way.